Should I use an Independent Locksmith or a National Locksmith Company? Cumbria and North Lancashire are consider safer than many areas of the UK when it comes to burglary stats, however Lancaster, Kendal , Morecambe, Windermere have send an increase in break-ins over teh past couple of years so should you ever find yourself locked out of your home, business or vehicle or discover that you have been a victim of vandalism or a break-in then chances are you’ll need to contact a locksmith. Now with break-in’s the locksmith is usually sent out by your insurance company so you don’t have much of a say in the matter because you are not the one footing the initial bill but If you are arranging your own locksmith then you’ll want to make sure that your don’t get overcharged or even scammed by one of the many rouge companies and individuals operating as locksmiths. 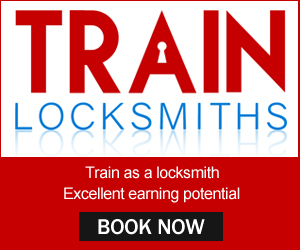 Although there are a number of course you can pass and different voluntary certifications you can gain it’s not a necessity and there is no official regulation in place for locksmiths operating in the UK with even a CRB check being a personal preference that only a handful of locksmith choose to get just to put their customers minds at ease, after all you are letting this person into your home or business and trusting them with your keys, alarms code etc. 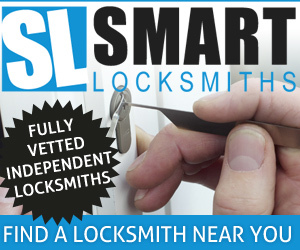 So what is the difference between an Independent Locksmith and a National Locksmith Company? The Independent Locksmith is usually just one guy who has trained as a locksmith and set up his own business whereas National Locksmith Companies are not locksmiths at all and are simply a call centre who when you call them will contact a locksmith on their books. The business model of these national locksmith companies is that they charge Independent Locksmiths from all the the country a monthly or annual fee to be on their books, so to speak. 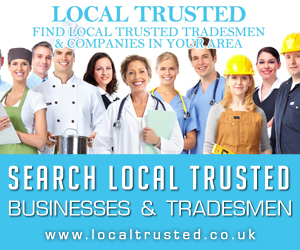 The company then takes care of all the advertising and marketing and because some of these national companies have literally 1000’s of locksmiths on their books they are able to set large advertising budgets hence why you usually find these companies at the top of the Search Engines. So in reality when you call National Locksmith Company you are still getting an independent locksmith so what is the issue? There are a number of reasons as to way you should avoid clicking on these national companies and instead selecting a local independent locksmith instead. Also with a National Locksmith Company you are not only paying the middle man but you are paying a much higher rate than you would have paid if you had gone direct to a local Independent Locksmith, sometimes as much a 20 times more. This is because the National Locksmith Companies don’t just make money off their annual fees but take a percentage of every single job. You will also find hidden extras such as fuel, night rate and extortionate call out charges have been added and people have ended up paying 20x what they would have paid the same locksmith if they have called them direct. So if you find yourself in a situation where to need a locksmith in a hurry after a burglary for example, just take that extra couple of minutes to find an Independent Locksmith otherwise you may find out that you have been robbed twice in the same night. 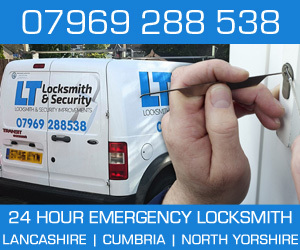 Operating in Lancaster, Kendal , Morecambe, Windermere and surrounding areas LT Locksmiths are an independent locksmith company offering a professional service and transparent pricing..
Next Next post: What Should the Average Locksmith Response Time Be in Nottingham? Very true post…. unfortunalety 100’s of people or ripped off daily and the awareness needs to be raised…. 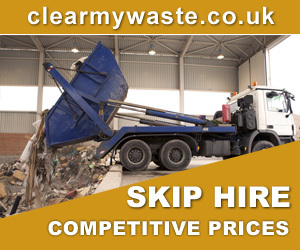 How to you think they afford they massive advertising budget.. ripping peopel off thats how.. There are loads of genuine accounts online of people getting stung….. the elderly are targeted mainly as they won’t question the bill.